Internal auditing is an independent, objective assurance and consulting activity designed to add value and improve an organization’s operations. It helps an organization accomplish its objectives by bringing a systematic, disciplined approach to evaluate and improve the effectiveness of risk management, control, and governance process. 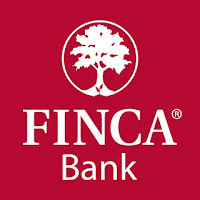 Internal audit at FINCA provides assurance, consulting, advisory and fraud examination services to the organization. To that effect, the IT Corporate Auditor is responsible for performing individual IT audit projects, as part of the total internal audit plan. This responsibility includes developing IT audit scope, performing audit procedures, and preparing audit reports reflecting the results of the work performed. Work performed will include coverage of functional and operating units and focusing IT, financial and operational processes. Additionally, the IT Corporate Auditor performs follow-up on the status of outstanding internal audit issues. 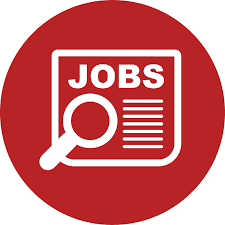 The position will also assist internal audit management with periodic reporting to the audit committee, development of the annual internal audit plan, and championing internal control and corporate governance concepts throughout the business. IT Auditor will report directly to the Internal Audit Manager. Participate in the preparation of the annual IT Audit programs in close collaboration with the Audit Manager. Conduct IT audits in accordance to IT Governance practices and standards (e.g. COBIT, ITIL, ISO 27001). Ensure conformity with laws, policies and regulations related to information systems security, data protection etc. Prepare and report results and perform pre and post- implementation reviews of system implementations or enhancements. Perform various other reviews of IT management policies and procedures such as change management, business continuity planning/ disaster recovery and information security (BCM / BCP /DR), to ensure that controls surrounding these processes are adequate. Conduct IT audits including evaluating if security vulnerabilities are properly identified and mitigated. University Degree in Finance or Computer Science. Recognized accounting/auditing/information system certifications (e.g. CISA). Understanding of IT Risk & Digital Financial Services. Knowledge of English language (written and verbal). The Internal Control Officer is responsible for identifying, analyzing, evaluating, recommending, reporting and constantly monitoring the implementation of approved controls and limits to ensuring compliance to policies and procedures in all head office departments and branches. b) Conduct Internal Control review to Head Office departments and functions to a certain the level of compliance to approved policies and procedures governing decision making, approvals, payments and documentation on paper and core banking system information. b) Timely prepare and submit accurate internal control assessment reports within the approved assessment schedule. c) Based on findings make adequate recommendations for improvement in the implementation of controls, policies and procedures. d) Maintain all inspection records and continuously, monitor the implementation of recommended action plans. Monitor other action plans including that from management and other internal and external examiners. a) Test the staffs knowledge on policies and procedures. Identify training needs for staff involved in process and properly recommend for process training. b) Regularly conduct training to staff to address controls and minimize breach of policy and procedures. c) During the control assessment, provide guidance and conduct coaching to staff in some of the areas of weakness that have been identified. a) Identify areas for improvement in the policies, procedures and processes and make recommendations for changes. If appropriate participate in the annual policy review process. A University degree in Economics, Finance, Social or Natural Science, Business Studies with Accounting or Banking Option, Computer Science or Information Technology. Certification in Fraud Examination, Compliance, or Risk Management will be an added Advantage. A sound knowledge of principles and practices of Micro finance, banking, and other deposit taking and or lending institutions.